What makes Conservatory Village unique is our showrooms. 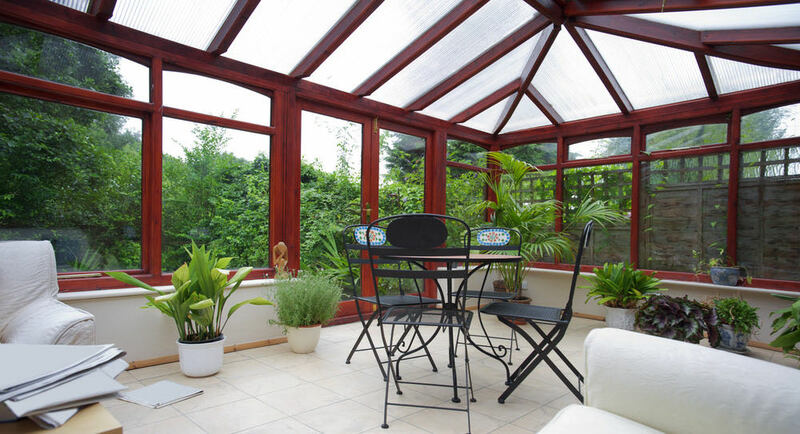 You can experience real, life size conservatories and sit in style until you find the perfect feel for your home. What’s great is that you can come and visit when it’s raining and when it’s sunny so you can see and hear the difference between the various roof glazing options. Our showrooms are just a short journey from Bournemouth, Ringwood, Southampton, Romsey and the surrounding areas. We’ve listened to what our customers want from a conservatory, window and door company and think we have all the bases covered. Using superior products from manufacturers such as Ultraframe, Duraflex and Smarts, we offer a range of uPVC and aluminium products fabricated from the best profiles available. We always fit the best performing glass that is on offer and always keep looking for the next best thing. To go with the best products you need the best people. The initial meeting is a fact finding and design call, of course we would love you to buy there and then but appreciate that it’s a big item and needs some thought, so no pressure here. We take the time to get your design right and exactly how you’ve been imagining it, offering a detailed and completely no obligation quotation. Some of our customers take a few days to make a decision some take a year. We only want to supply you with a room that is perfect for you. Unlike other companies we do not require an upfront deposit. Instead we offer a sensible stage payment plan with the final payment upon completion of your conservatory project. If you place an order you are introduced to your Project Manager, they will see the project through and keep you informed of the progress. Our surveyors have over 20 years of experience of building conservatories and measuring windows and you can be assured that they will cover the smallest detail. We’ve fitted our products in customer homes, in schools, in offices and factories, we’ve even sent our patio doors to Italy to be fitted onto a cruise liner. Just relax and call in for a browse and you might be walking away with one of our stunning conservatories, windows or doors. Good workmanship and very courteous. They also did a good job clearing up after themselves. Nothing was too much trouble they are very helpful hardworking and tidy workers. Build to specification and drawings, clean and tidy in work, well planned. Was very happy with the work done, highly recommend Conservatory Village.